Liability protection with SR22 Insurance – all you need to know – If you have been asked to provide a SR-22 in your state and have little knowledge of it, you may be stumped by the prospect of how to go about it. So what basic knowledge do you need to know about liability protection with SR-22? An SR-22 is a document certifying that you are in a financial position to meet any financial obligations that may arise in the event that you are involved in an auto accident. It is more of a paper of guarantee from your insurer to the interested parties, that in case you are involved in an accident, they will foot the financial cost that will arise out of it. It follows then that a person cannot request for a SR-22 without first paying their insurance premiums. If you have had your license revoked or suspended, you may be required by the law to produce a SR-22 to get the suspension lifted. This is however not the only purpose it serves. If you are a high risk driver, remember, at some point or the other you will need the SR-22. Who qualifies to be a high risk driver? People with the tendency to drive above speed limits (especially in highly restricted areas like schools). People who like street racing and have been involved in accidents while doing it. People who have several traffic offenses in their records. If you are in any of these categories, you are a high risk driver and should you be caught and arrested, the law will require you to have a SR-22. How long do you have to keep the SR-22? While state laws may differ, in general, a SR-22 record remains for between three to five years. While the minimum is three years, you need to know that continued violation of traffic laws will earn you more time with the SR-22 requirement. What financial implications does it have on you? Acquiring a SR-22 will not cost you much. Generally it ranges within $15 to $25, and up to $ 45 (in extremely rare cases). Your financial burden will arise from the implications of having the document. Due to your status, your insurer will re-assess you during your next insurance renewal and your premiums will go higher. For as long as you require the SR-22 you are considered high risk. It therefore makes sense to minimize your traffic violations if you are interested in saving yourself the financial expenses that come with high premiums. Is it possible to lose a SR-22 protection? When your insurance expires or for some reason is cancelled, your insurer is required by law to notify the Department of motor Vehicles of the occurrence as soon as it happens. It will generally take you back to a position of not having a SR-22 and you run the risk of having your license suspended. The smart thing to do therefore is to ensure that you insurance is always renewed on time. An insurer can also decide to cut off links with you for continued violations that they may feel they are not prepared to continue covering you. Caution should be taken when on the road to ensure you are in the good books of all interested parties. How does moving affect your SR-22? As a matter of fact it does not. All you need to do is remember for as long as you are required to have a SR-22 in one state, you must produce it on being prompted in any other state within the nation. Moving does not change the fact that you are a SR-22 holder. It doesn’t change the fact that you are considered high risk, therefore do not leave it when you travel. A SR-22 may take up to thirty days to be issued and stays on record until it’s expire and your insurer provides prove that time has lapsed and the SR-22 is no longer need. If you have been asked to produce one, remember the time it may take to process and how long you will need to keep it. Remember your insurer is the only one who can provide a SR-22, talk to them about it in case you are in need of one. Remember too, being a safe driver is less distressing all round. Hi Michael! 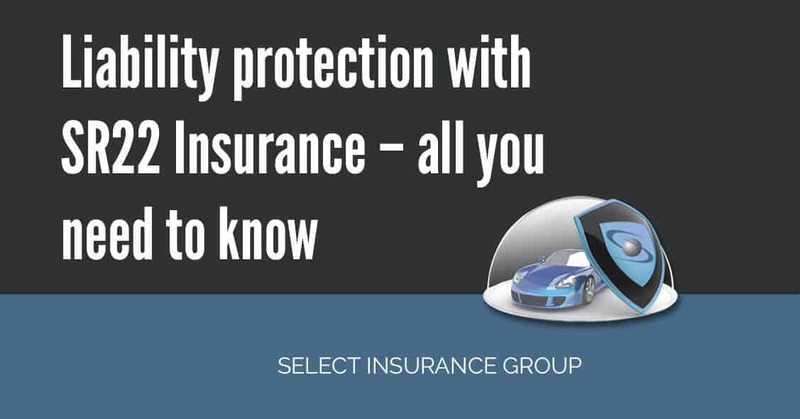 Thank you for choosing Select Insurance Group. One of our agents will be contacting you via e-mail with available price options for Louisiana SR22 insurance. Or give us a call at 1-877-949-7873. Thanks!